If you're trying to use the macOS Sierra Image Capture utility and scanning multiple pages to a PDF file and wondering why you're ending up with just the first page, you're not alone. I've found this problem when doing some scans this morning, it seems that even when the 'Combine into single document' option is checked, any pages scanned after the first one are simply ignored. I experimented with this a little and found that if you scan to a PDF file on your 'Machintosh HD' i.e. your primary system disk, it does indeed work and you do get multiple pages in the PDF. However, if you have your PDF on any other drive, it will only save the first page. Then hit scan again, this should have created a second page in the PDF document. 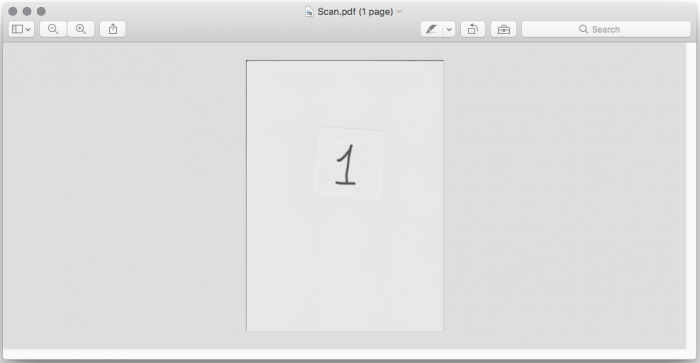 However, when the PDF is opened, only the first page appears. At first I thought that maybe it had something to do with the disk I was scanning to being formatted as a case-sensitive volume. It wasn't. I experimented with formatting a USB stick without case sensitivity and scanning to that, same result, just the first page being saved. 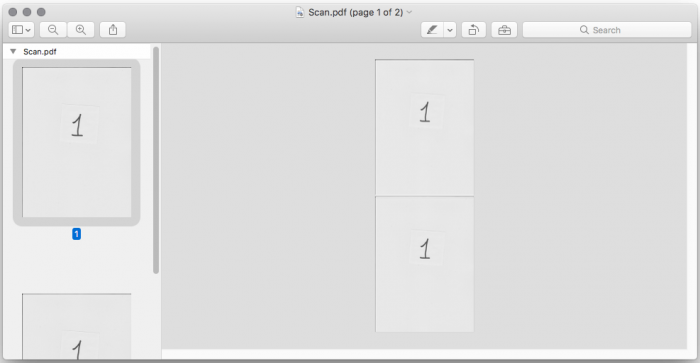 As soon as I scanned to a file on my Desktop however, both pages appeared! The Desktop folder is on the 'Macintosh HD' of course. 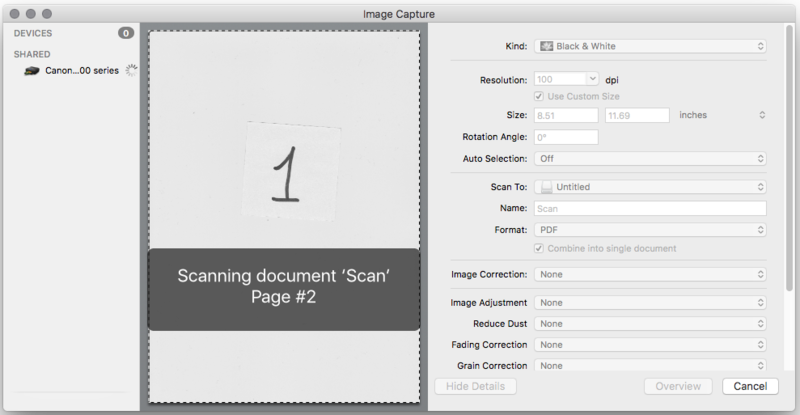 So if you need multiple page PDF scans, either scan to a location on your 'Machintosh HD' or don't tick the 'Combine into single document' option and then combine the separate PDFs manually.